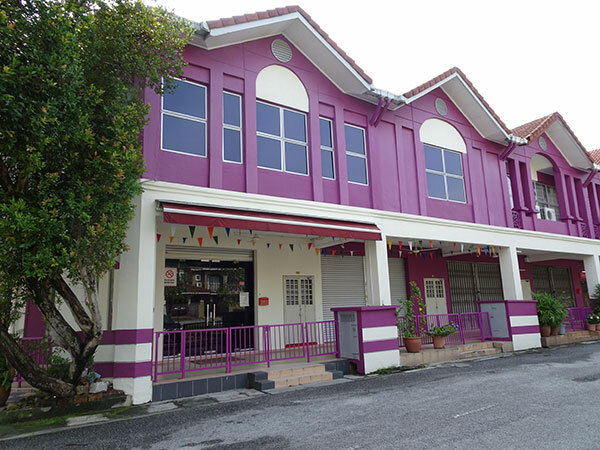 SuperFun Learners first opened its doors 17 years ago. 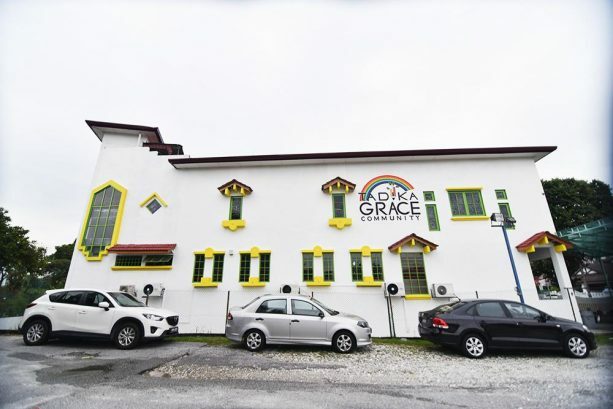 The facility has since relocated and is now settled comfortably across three shop units in Bandar Kinrara, Puchong. Surroundings are calm and peaceful, without much distractions from urban life. 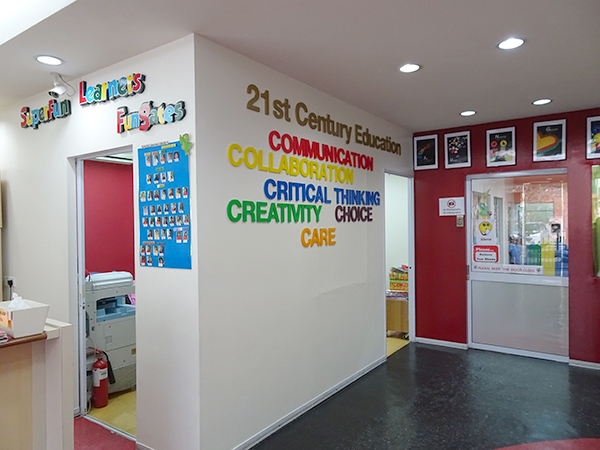 The physical plan of the school is purposefully organized to include free-flowing classrooms, innovation corner, computer room, science lab, early years library, indoor play area, performance stage and spacious flexible learning spaces. 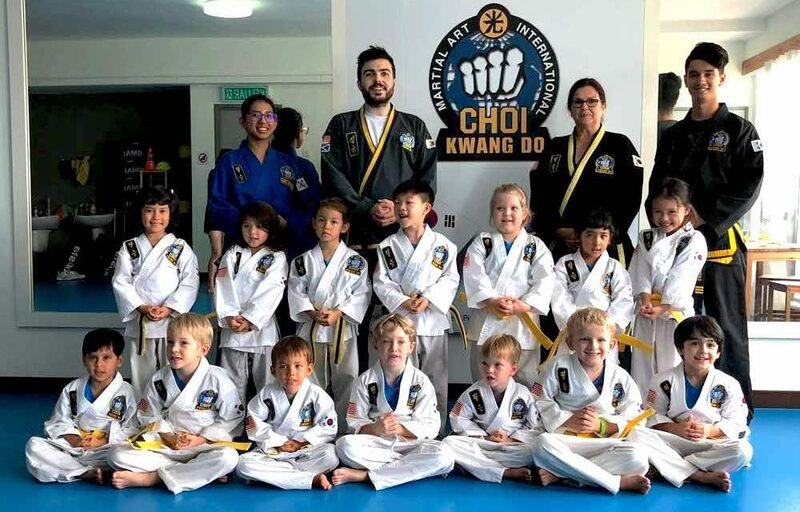 Since its inception, the school has grown its reputation consistently on providing a solid learning experience, while maintaining a close-knit community connection with parents. SuperFun Learners provides ample avenues to ensure children get on the right start in education. Teachers adopt the “Kids Hear, Kids See, Kids Do” concept. Teaching methods respond to three primary types of learners: auditory, visual and kinesthetic learners. SMART board exercises reinforce the “Kids Hear, Kids See, Kids Do” concept. Language and Mathematics tutorials are carried out in small group settings. 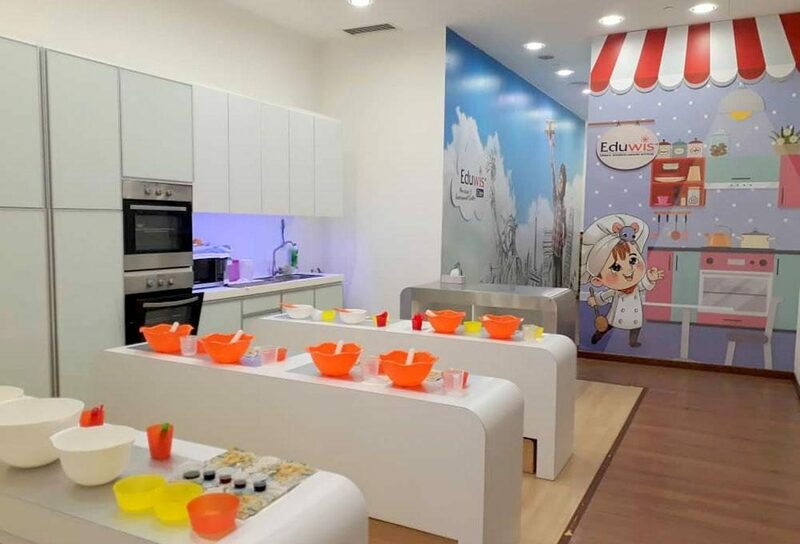 SuperFun Learners is an English enrichment centre. 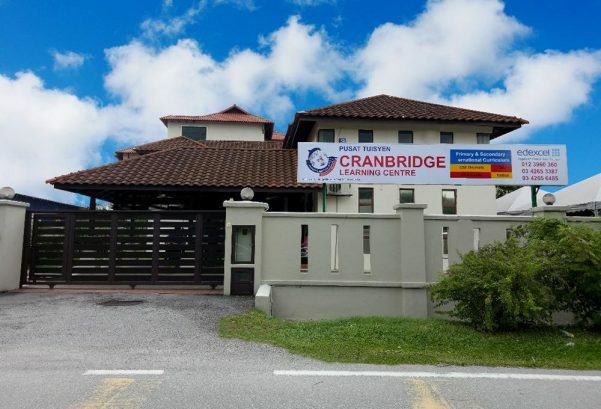 Strong emphasis is placed upon the development of languages – English, Bahasa Melayu and Chinese. Programmes are guided by the proven FunGates education framework. 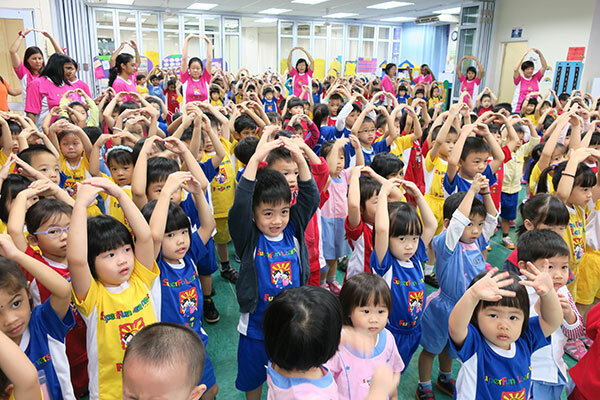 The FunGates education system is noted for excellence in the early childhood education industry. Learning is carried out by a team of caring, experienced and dedicated teachers whose passion is to help every child develop and learn. SuperFun Learners reflects 17 years of education success through the “Kids Hear, Kids See, Kids Do” method of teaching. The FunGates Phonics and Blends system lays the foundation for excellent pronunciation. 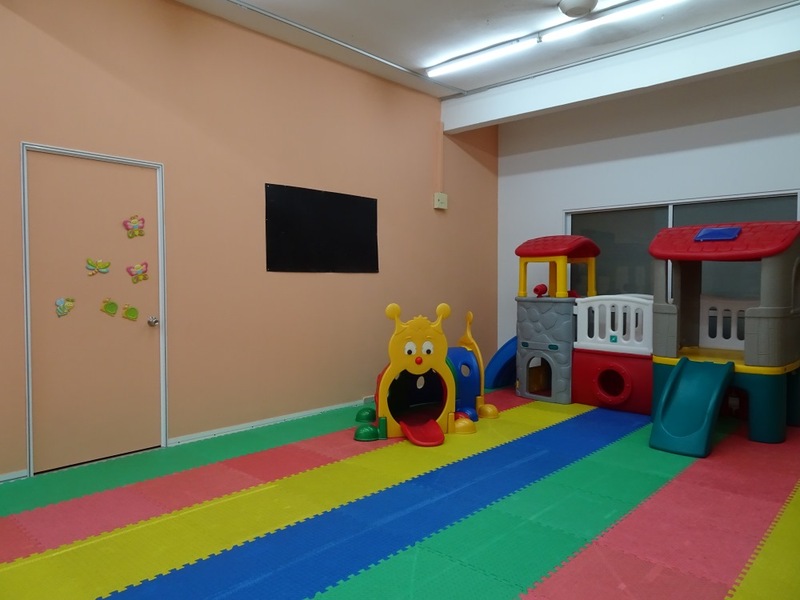 Children are set out to have fun and learn English naturally through a combination of dynamic activities set within an exploratory setting. 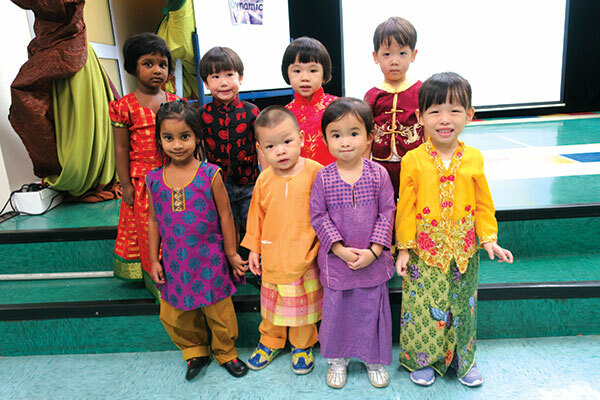 Children will develop an emerging self-confidence to read, write, speak and listen to others in Bahasa Malaysia. 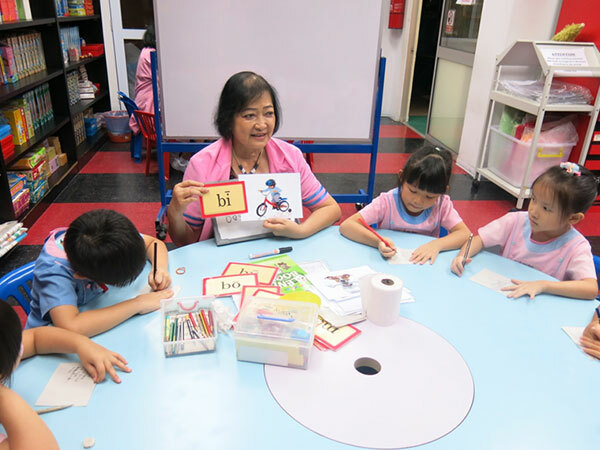 They are given access to a wide range of learning materials to ignite their interest to explore new words and extend their vocabulary. 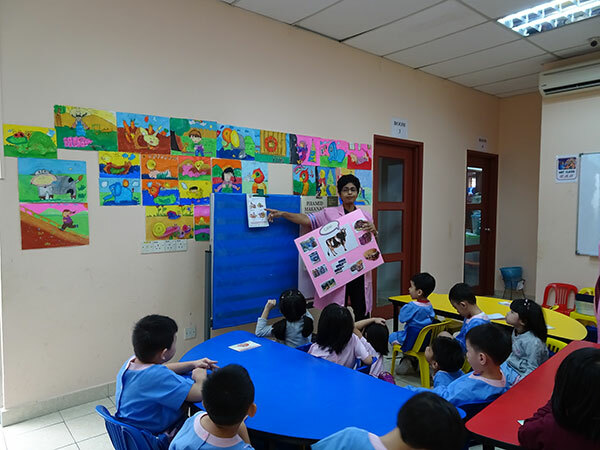 A rich variety of learning resources such as multimedia aids, colourful visuals and specialized workbooks help children consolidate their learning across different contexts. The course embeds poems, idioms, proverbs and more to allow children to master the concepts of learning Chinese. Children will develop the initial building blocks for mathematical thinking, reasoning and problem solving. The mathematical journey enables them to be engaged in counting, sorting, comparing, pattern making, matching, and to look at shapes and measures. 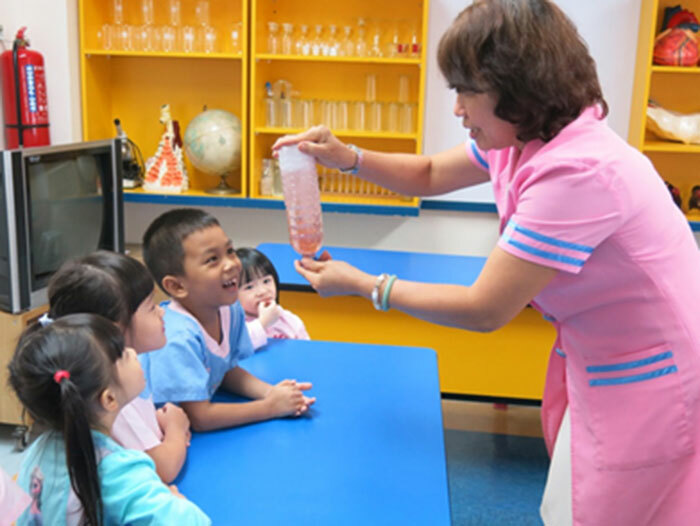 In a scheme of experiments and experiences of science inquiry, children get to explore creatures, plants, people and objects in their natural environment. It encourages children to explore, observe, predict and ask questions about how things work and why things happen. These lessons nurture children’s creative potential and imagination. 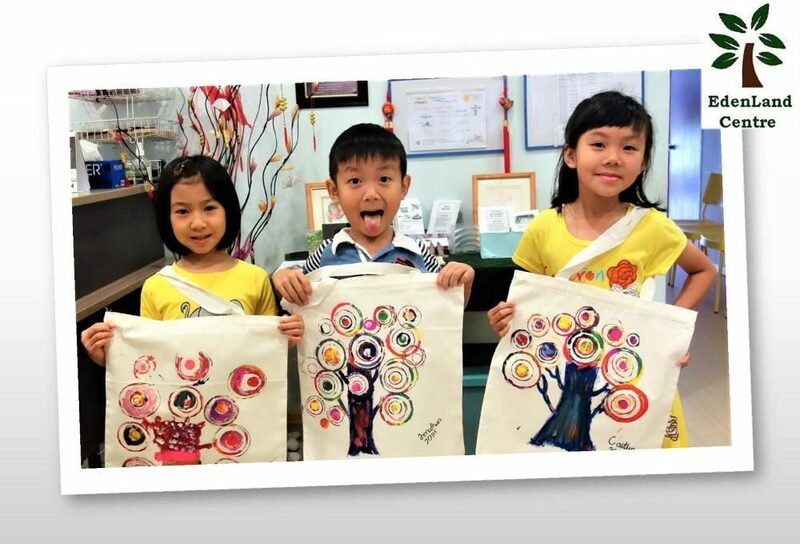 Artistic teachers integrate plentiful art appreciation activities to encourage children to express their ideas using various art media. 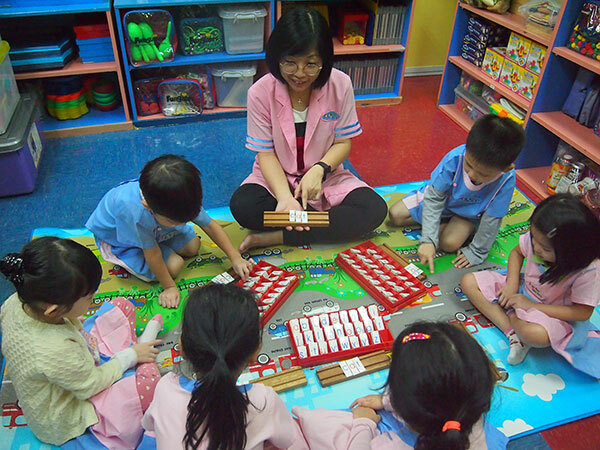 It involves supporting children to explore and play with a wide range of materials. 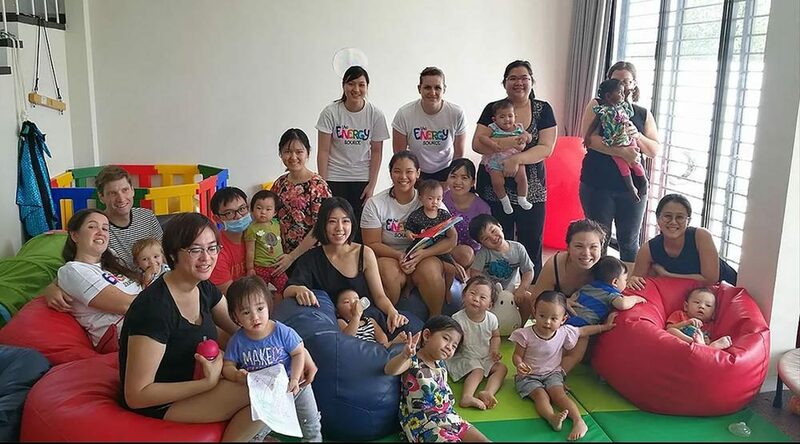 Activities such as music, movement, dance and role-play provide opportunities for them to share their ideas and feelings, as well as strengthen motor skills. Unlike traditional single cell classrooms, teachers work collaboratively with children in an open classroom concept. This setting helps children focus, heighten emotional intelligence and gradually build the capacity to deal with real world situations. 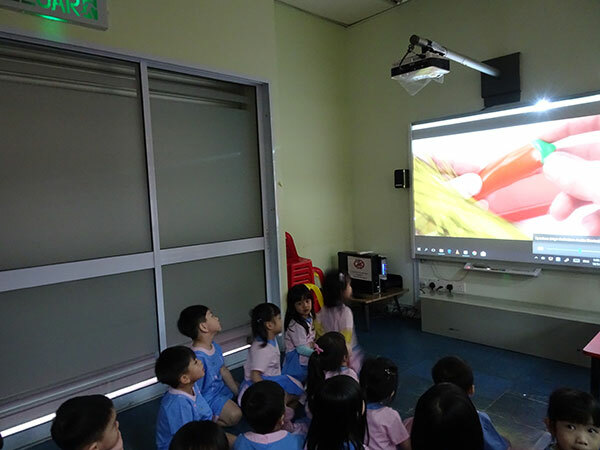 Classroom appointments incorporate interactive SMART Board, and a full range of teaching aids and developmentally appropriate learning materials. 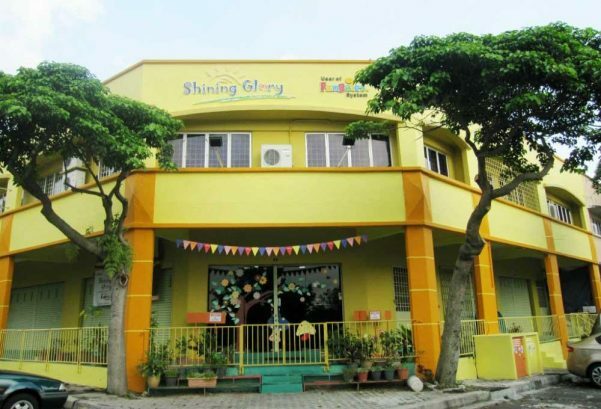 With this huge selection of educational materials, children get to discover how learning and fun go hand in hand. 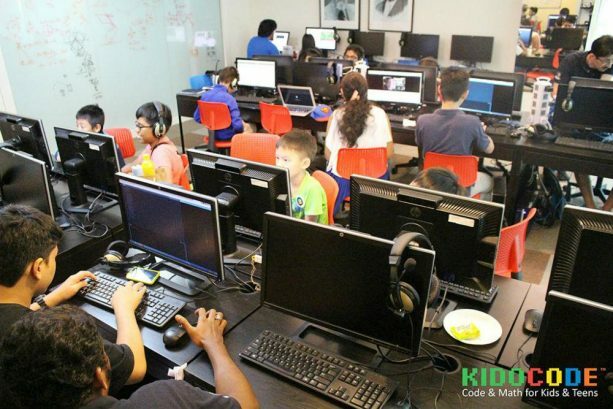 In turn, they learn more effectively, express their ideas freely and think out of the box with more innovative solutions. 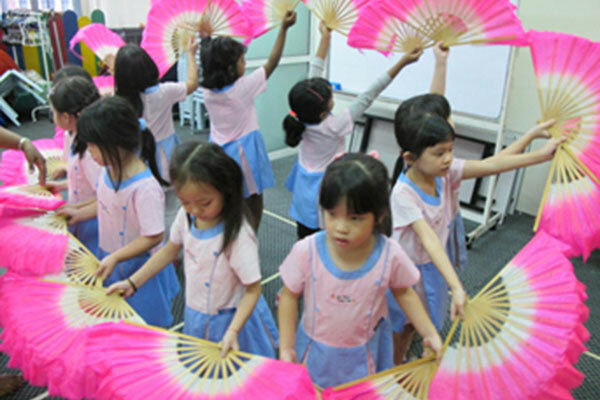 To enhance long-term educational success, a range of extracurricular activities and after-school programmes are offered. 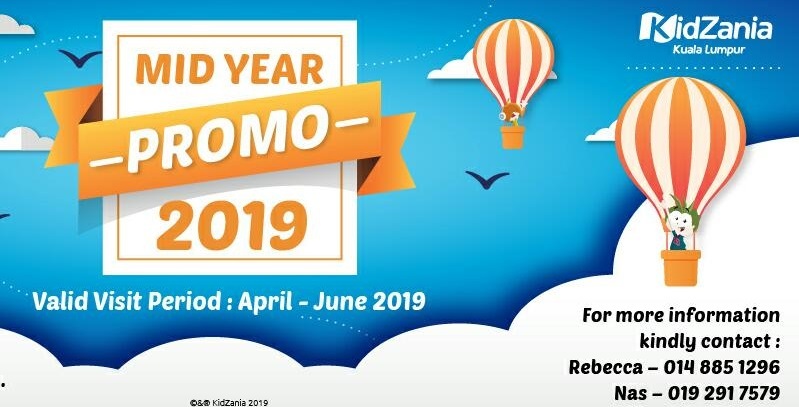 The full day programme is enriched by weekly instruction in speech and drama, art and craft, homework coaching, story time, moral development, and language enhancement in English, Bahasa Malaysia and Chinese. 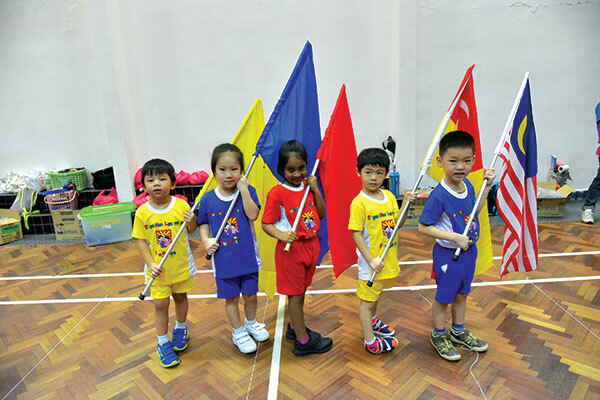 Extracurricular activities such as educational field trips, sports days and concert performances are set in place to cultivate self-confidence and teamwork. Families who send their children to the school are entrusting them to a school that places a strong emphasis on health, hygiene and safety. Children are offered nutritious, well-balanced meals delivered by their catering partner. 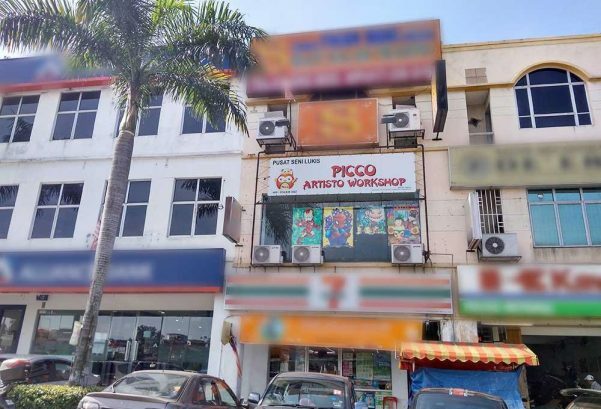 The administration has enforced daily sanitization routines, strategically placed CCTV cameras, and strict drop-off and pick-up procedures. 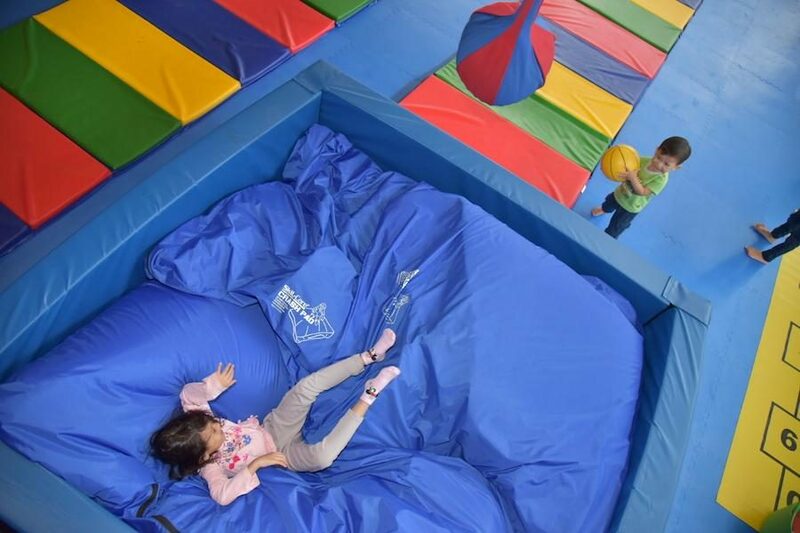 SuperFun Learners not only provides an environment that is conducive to learning but also one that prepares children for the responsibilities, challenges and opportunities of school and adulthood. 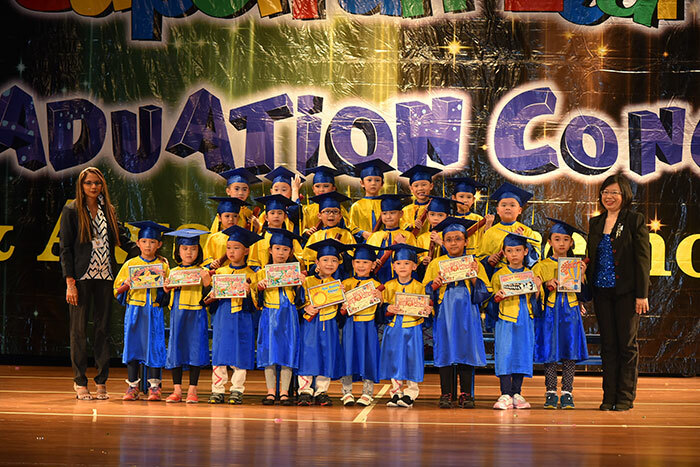 Children will graduate with a solid foundation of skills and learning experiences for a smooth transition to primary school. Above all, children will grow into happy, healthy, well-rounded individuals that can contribute positively to the world. 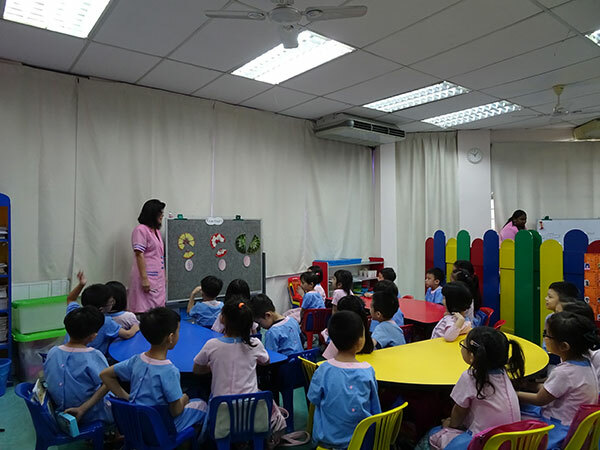 The success of the SuperFun Learner’s curriculum is achieved through the expertise of a team of long-serving teachers who works passionately towards the same mission. Teachers are well-qualified, experienced and highly dedicated to tailoring the learning experience to individual student needs, all while serving the community within. In addition to the provision of educative services, SuperFun Learners also takes an active part in forms of philanthropic work. A percentage of monthly school fees are contributed to the FunGates Superflow Foundation. 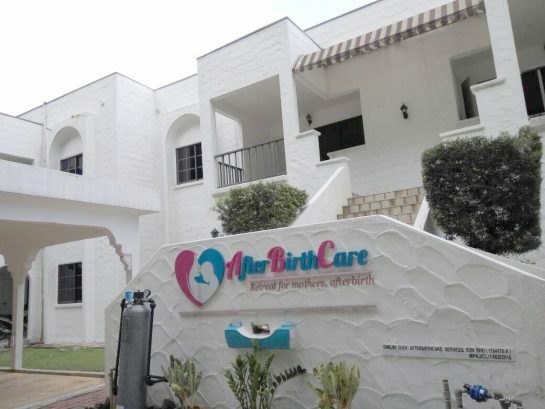 The foundation benefits patients with kidney failure, children and adults with special needs, and other underprivileged and needy citizens of the society.